Look what Queen Llama-tifah started. 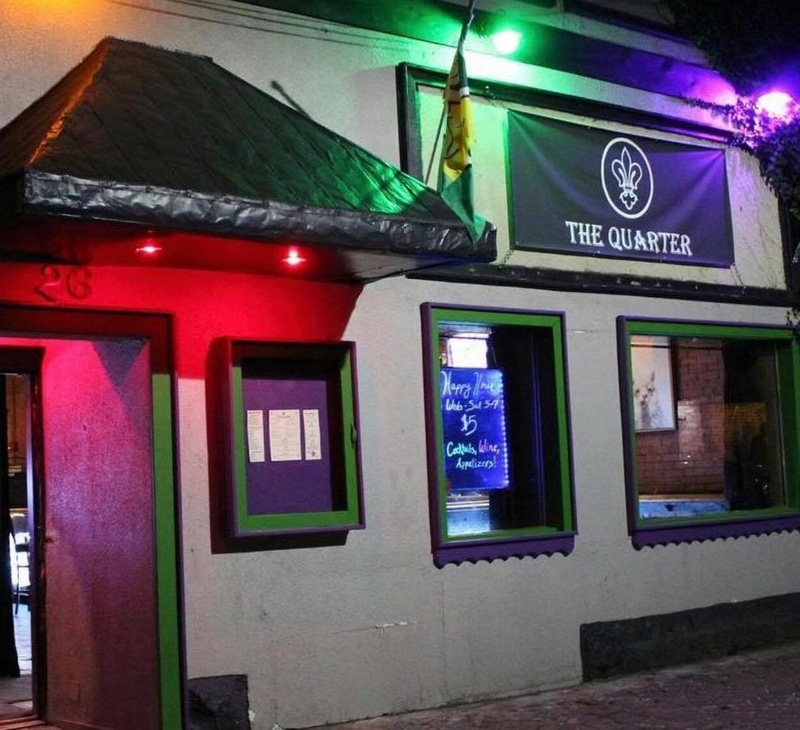 This hump-less royalty is actually one-dimensional, a character in a painting that hung downstairs in the bar-restaurant formerly known as Fierte, now called The Quarter, at 26 Virginia Place in Allentown. 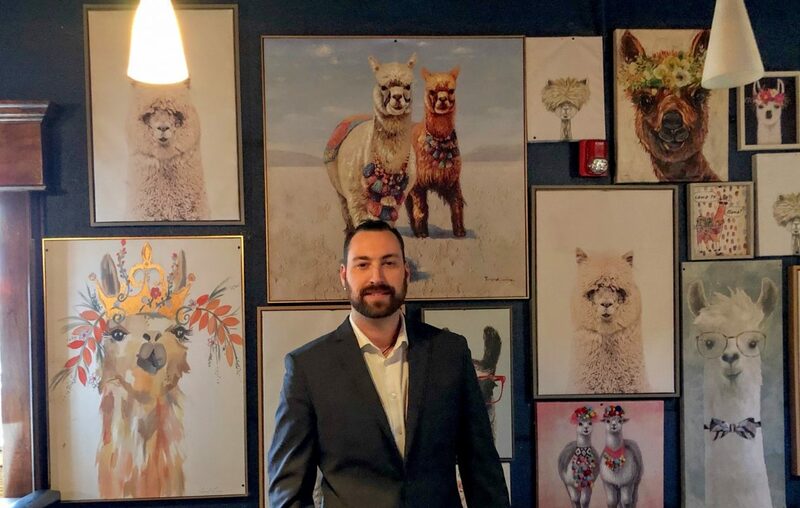 Noticing his customers taking pictures with the llama painting, Brandon Carr, the bar-restaurant's owner, had a vision. 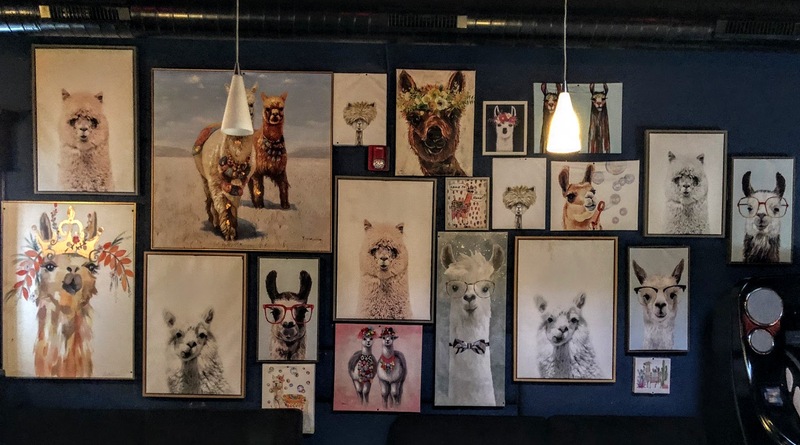 With the growth of game rooms in Buffalo bars, he pursued a second-floor adult play area filled with a variety of games and adorned by a wall of quirky llama posters. "They're majestic creatures," said Carr of the furry stars upstairs. That area - dubbed the Llama Lounge - nears completion, with a grand-opening party scheduled for 5 p.m. Feb. 2, featuring Thistle Creek Alpacas between 6 and 8 p.m. (Buffalo is not exactly awash in living llamas for public appearances - but we're told there are more than we thought originally.) The lounge is in its soft-opening phase now, as shuffleboard and a custom foosball table are still on the way. Pressed on why many of the animals on the wall resemble alpacas more than llamas, Carr emphasized the lighthearted theme and the commonalities of the animals. "They're in the same family," he said. "It's like horse and pony." [For what it's worth, the Modern Farmer notes six differences between alpacas and llamas]. Bar-arcades aren't new to Buffalo, with Misuta Chow's, Thin Man Brewery and a handful of others embracing the tie between games and drinks. "While I was in New Orleans for my older brother's wedding, our hotel had a big [bar-arcade] downstairs - it was awesome," Carr said. "An adult place where I can have drinks and play games? It was like Chuck E. Cheese for adults." The bar-arcade trend appeals to more than just one demographic, Carr added. "In my class of age, bar owners are nostalgic back to the days of '80s video games, and the younger class in bars now is really into video games," he said. "People make money by having people watch them." There will be no bar in the Llama Lounge, but customers are welcome to bring their drinks upstairs. More televisions will be added. *Bubble hockey, a game invented in Buffalo, is on a custom Super Chexx Pro table where the Buffalo Sabres play the Dallas Stars. Anthem singer Doug Allen introduces every game ($1 for a time limit) and famed commentator Rick Jeanneret calls the big moments of the action. *Free video games - on Nintendo, Sega and Super Nintendo - are available to be played for free in the back-left corner. Carr would like to add an Atari system in the future. 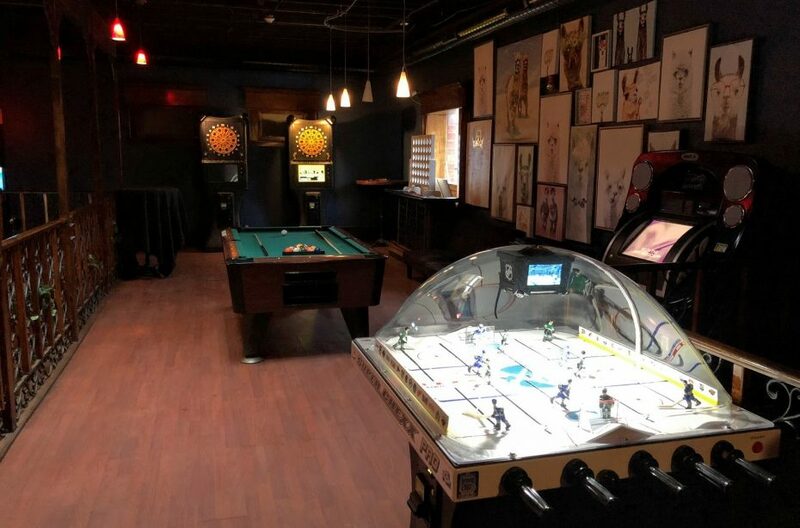 *Staple games like darts (two electronic boards), a pool table, plus-size Connect Four and Jenga are set up in the middle and rear of the room, with a jukebox, too. 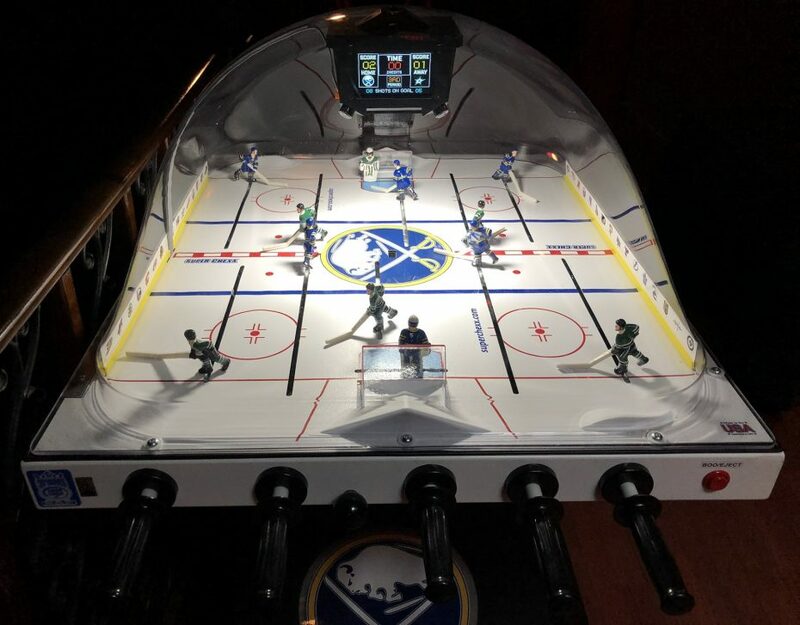 *The regulation foosball table, brightened by neon lights, was already shipped from England, but had to be returned because it still took euros instead of American currency. Carr expects it back soon. *Carr considers shuffleboard a "must" for any bar-arcade. Customer requests for a pinball machine are being considered, and Carr thinks it will eventually grace the Llama Lounge. INFO: Llama Lounge at The Quarter, 26 Virginia Place, second floor. 771-1404. Grand-opening party is at 5 p.m. Feb. 2.